In this week’s “Getting to Know” guide, we turn our attention to what a clutch is, and how it works. What is the function of a clutch? In simple terms, the clutch pedal in a car with a manual gearbox allows the transfer of rotational power from the engine to the wheels. The clutch is made up of two main parts, the clutch plate and the flywheel. To allow a car with a manual transmission to change speed and stop without the engine turning off, the connection between the wheels and the engine needs to be disconnected temporarily. When the driver’s foot is not pressing on the clutch pedal, a set of springs keep a pressure plate pushed up against the clutch plate. The springs also push the clutch plate up against the fly wheel which connects the engine to the driveshaft, and transfers motion to the wheels. When the driver applies pressure on the clutch pedal, a release fork is also being pushed down, which pulls the pressure plate away from the clutch plate, thereby breaking the connection between the rotating engine and the wheels. The wheels will continue to turn without the power generated by the engine. What are some of the advantages and disadvantages of manual transmission? It offers the driver more control. A manual gearbox can be more tiring to use, especially in slow-moving traffic or when the speed of the cars ahead changes regularly. When a car is fitted with dual-clutch transmission, there are two clutches, but this does not mean that there are pedals in the footwell. 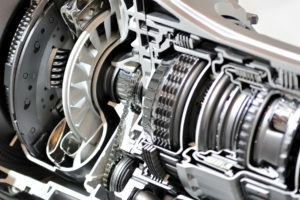 The two clutches operate different gears, and allow for gear changes to happen (electronically) without disconnecting the engine from the transmission and interrupting the delivery of power. The advantage of this, is that it enables fast gear changes and improved acceleration. Is a clutch considered a wear and tear item by warranty administrators? When it comes to making a claim for a repair under a vehicle warranty, a clutch typically will not be covered, as it is often considered to be a wear and tear item. This is because the lifespan of a clutch is dependent on the amount of use, whilst it can also vary with driving style. Where can I find a business to have my clutch repaired? 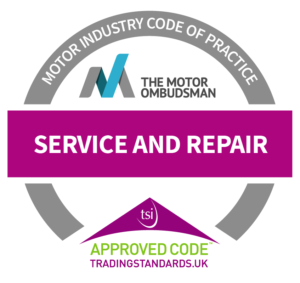 To find an independent garage or franchised car dealership which is accredited to The Motor Ombudsman’s Motor Industry Code of Practice for Service and Repair, visit The Motor Ombudsman’s Garage Finder at www.TheMotorOmbudsman.org/garage-finder.